Seriously, you guys. You guys, seriously. I feel like I've been running around this meme for days writing "MORE SHATNER" but seriously, you guys. You guys, seriously. Because seriously, the man deserves his own community. 1. No bashing. This includes both Shatner and people with differing opinions about Shatner. 2. 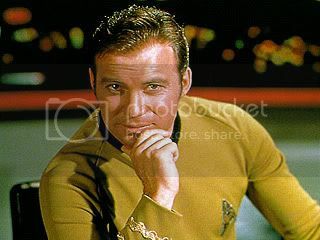 Discussion, picspam, silliness, meta, reviews, news, anything Shatnerian belongs here. Look, he's all over the place. No reason we shouldn't be. If anyone's interested in designing, co-modding, whatever, let me know. I just made this because it needs to exist, not because I am the best person for the job. For general ST awesomeness, go to ontd_startrek.